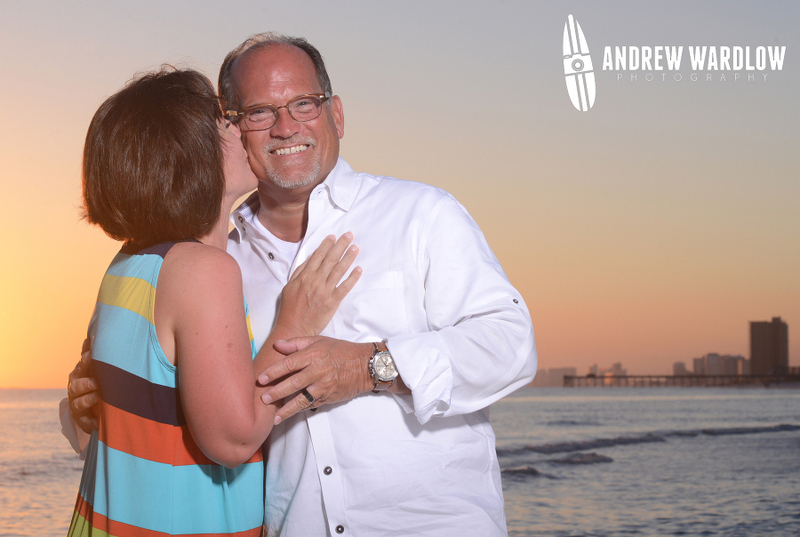 Dawna and Russ were a blast to work with during our Panama City Beach family beach photo session at St. Andrews State Park. They are a happy couple and made my job easy because they were always smiling! The state park is a really neat place to photograph thanks to the variety of locations offered. It is a unique place to shoot along Panama City Beach. 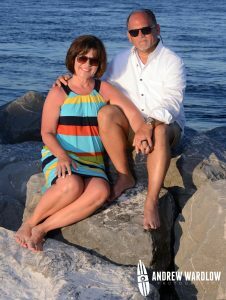 We utilized several locations during our Panama City Beach family photo session. We started out at the jetties before moving along to a random rock sticking out between the jetty and the dune. From there we took several shots on top of the dune before cruising on down to the water for the sunset photos. That’s the money shot around Panama City Beach….the sunset. Growing up in Tennessee we had great sunsets, but you could not fully appreciate them because there were so many trees everywhere. Here along Panama City Beach we have a beautiful, unobstructed view of the sun going down each and every night…..weather depending. Most of the time the sunset is breathtaking along PCB. No matter what the weather wants to do, it is my job as a photographer to make the best of any weather condition. Thankfully we typically have marvelous weather here all summer long. The combination of sunset with the emerald-green water we are known for makes a picture-perfect backdrop for Panama City Beach portraits. 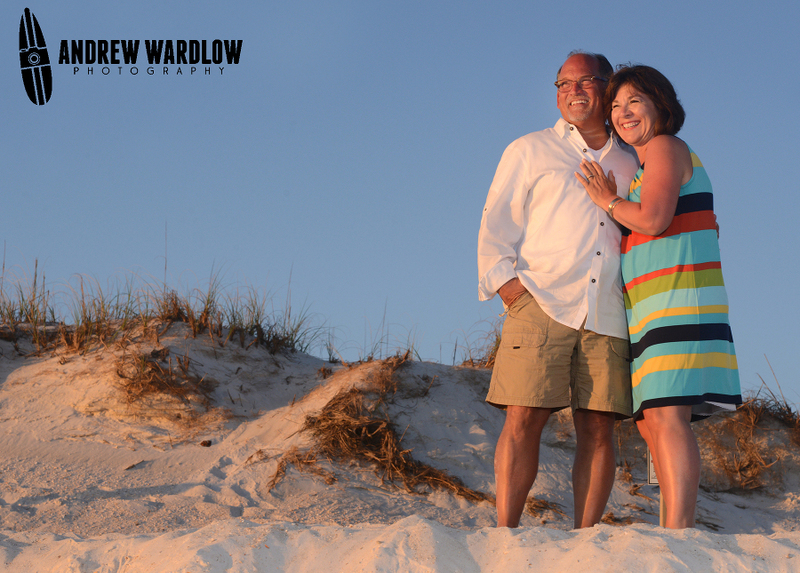 When you have such a beautiful backdrop along with great subjects like Dawna and Russ, my job as a Panama City Beach photographer is a happy one.